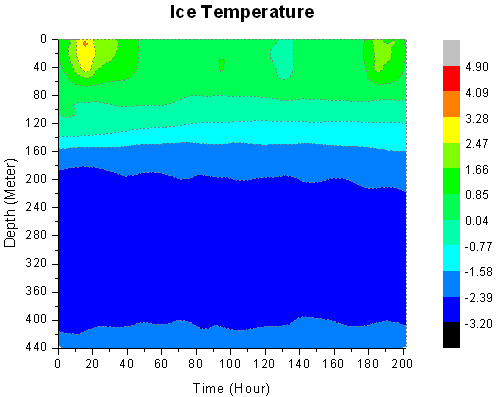 The above graph is created from ice temperature data measured at different depths under the ice surface and at different moments. This contour plot example was created directly from XYZ worksheet data using the XYZ Contour plot option in Origin. Triangulation is automatically used for this plot type, thereby eliminating the extra step of having to convert your XYZ data to a matrix.